Tennessee Land Development Services is a land surveying company. We are committed to the art and science of land surveying and all that it entails. Many firms have diversified or merged to blend architecture and engineering with land surveying. While this business structure may work for them, we believe that land surveying should be forefront in our company. Though building relations with many other professions, we are able to provide our clients with all of the benefits of a larger company while allowing them to choose who they work with every step of the way. This model has worked for us and our clients for over a decade will continue to do so well into the future. We assist our clients in getting what they need, when they need it. Getting a bit of help from the locals. 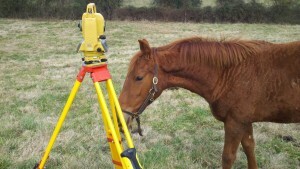 Although we are licensed to practice surveying anywhere in the State of Tennessee, our focus is to the east. We are based out of Jefferson County and our prefered service area is it and those counties that adjoin it: Cocke, Grainger, Hamblen, Knox, and Sevier, Although not a direct adjoiner, we regularly service Blount county as well. We also serve the counties adjoining our primary service area but may charge a bit more for travel. Elevation certificates for insurance agents. Lot and boundary surveys for land owners, title companies, and Realtors. Subdivisions and construction layout for developers and builders. Forensic cartography and surveying for attorneys. Free consultations and advice on all things land. Normally, we strive to turn over most projects within 7-10 business days. At times, the number or size of jobs restricts this ability.